Get a Slim Fitness Tracker with Heart Rate Monitor for just $29.74 shipped! Have you been wanting a fitness tracker, but you don’t want to pay the big bucks on a brand-name one? Check out this great deal!! Amazon has this Juboury Fitness Tracker with Heart Rate Monitor for just $29.74 shipped when you clip the 15% off e-coupon. 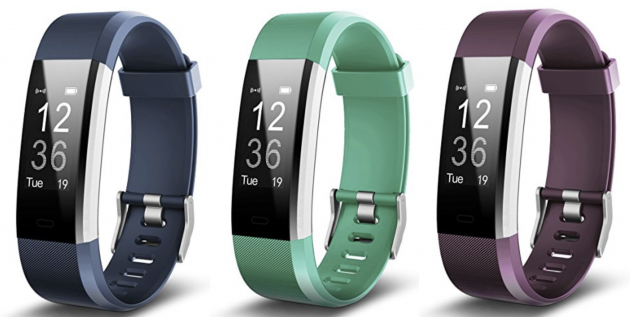 This Fitness Tracker has amazing 5-star reviews, and there are five colors to choose from! « *HOT* Get Lowest Prices on Paper Mate, Sharpie, and Prismacolor Writing Products! Is there a link for the e-coupon? I may have just missed it. Thanks!